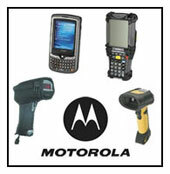 Motorola MC75 Wireless Enterprise Digital Assistant. Your workers will enjoy having all the features they need right at their fingertips in one device designed to endure all day everyday use outside the enterprise -- including push-to-talk, integrated GPS with superior sensitivity and tracking capabilities, 1D and 2D bar code scanning, a high resolution 2 megapixel autofocus digital color camera, 802.11a/b/g wireless LAN (WLAN), Bluetooth and IrDA connectivity. Maximizes mobility, giving desktop-like performance with minimal power use. Supports high-resolution images such as video, and remains easy to view in any lighting. Handheld Warranty The MC75 is warranted against defects in workmanship and materials for a period of 12 months from date of shipment, provided that the product remains unmodified and is operated under normal and proper conditions.